The Barents Sea Cod details the mismanagement problems facing the world's last remaining large stock of cod, one of the world's most consumed fish. This WWF report shows that global cod catch has suffered a 70 per cent drop over the last 30 years, and if this trend continues, the world’s cod stocks will disappear in 15 years. 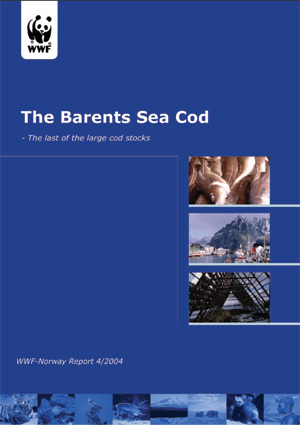 The report reveals that the world's largest remaining cod stock, in the Barents Sea, is now highly threatened by overfishing, illegal fishing and industrial development.